Feeding up to 500 families in one afternoon is a daunting task. 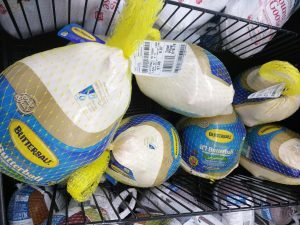 We are pleased to announce that our partner, Community Harvest, just came through with a donation of 40 frozen turkeys! 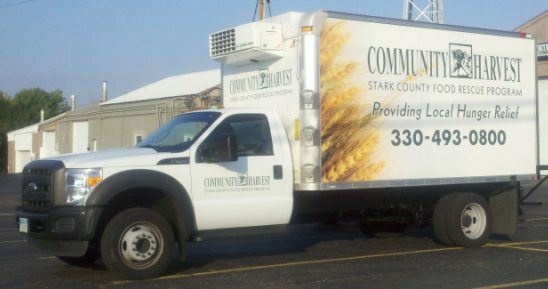 Community Harvest is a non-profit organization that was created in 1989 which a mission to collect perishable and prepared food that would otherwise be wasted from local restaurants, caterers, hospitals and the food industry. This food is distributed to local soup kitchens, shelters and hot meal programs helping to alleviate hunger. We’re so thankful for them and the countless other organizations and individuals who continue to bless us with donations. We’re now looking for individuals or church groups to donate their time—and ovens—to cook a turkey or two.